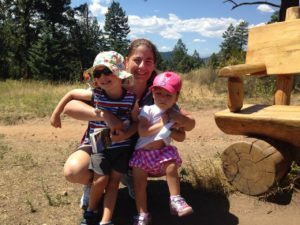 Are you an adventure seeking parent and want to go hiking with your kids? Feeling a little nervous about taking them into the backcountry? Kids are naturally very curious creatures. They love the outdoors and are very imaginative. They also love to spend time with their mommy and daddy. There are tons of tools out there that will help you get real time information on the level of difficulty of the hiking trail, weather conditions and other pointers. The All Trails app has been very helpful for me. Tip #2: Have a goal in mind. In other words, pick a trail that has a reward at the end so that they can look forward to it. Maybe a waterfall, a lake? I know at the end of our first hike there was a castle ruin. We took a picnic lunch and sat near the castle ruins. My kids loved it! Tip #3: Pick appropriate shoes. This may be a no brainer for most, but my daughter loves to wear fancy dress shoes ALL the time. 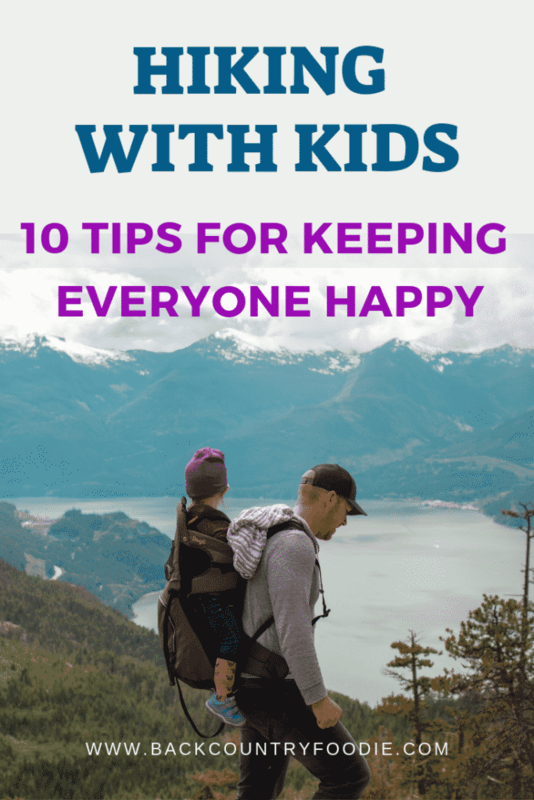 Make sure they leave the house with hiking or athletic shoes at the very least. My youngest is almost 4 and I have a new 5 year old. Regardless of the age, being “hangry” is not fun. Make sure you have some power packed snacks on hand to help combat that hypoglycemia. Fruits, veggies, nuts, granola bars, and yogurt are all good foods to have on hand. My kids love raisins and dried unsweetened cherries. We also take Bobos Bars, Nature’s Bakery whole wheat fig newton bars, and Earth’s Best Sunny Day organic fruit bars. Even handfuls of granola are great! You can also pack something special like a magic booster that helps them continue moving. Sometimes, when my kids get tired, I keep something special in my bag and I call it a magic booster. In their mind, once they consume or drink this item, they receive magical powers that keep them going and pushing on. It may be a snack that they have never had before that you found at whole foods, trader Joe’s or one of the other specialty markets. Tip #5: Understand that you will be taking frequent breaks. This is not going to be an adult paced hike. Know the length of the hike and how long it should take at an adult pace so you can plan how long it may take you at a child’s pace. Don’t feel like you have to finish either. If bad weather hits, or the kids are exhausted, you can always head back. Safety is always the best policy. Lower your expectations- Kids will want to explore and you may need to settle some fights along the way, so be patient. Tip #6: Always keep your kids close. There are wild animals out there. Don’t let them wander off or get out of your sight. Tip #7: Stick to the trail. This is generally a rule for all hikers, including kids and adults. Don’t go off the trail to take a shortcut. Getting lost is definitely a real threat. In addition, there are negative side effects from off-trail hiking like possible damage to the ecosystem. Tip #8: Know you kids. My kids tend to tell me that they can keep going but then they max out and can’t make it back and I end up carrying them. So, to prevent this, try to predict when your kids usually max out and head back before then according to how long it takes to get back. 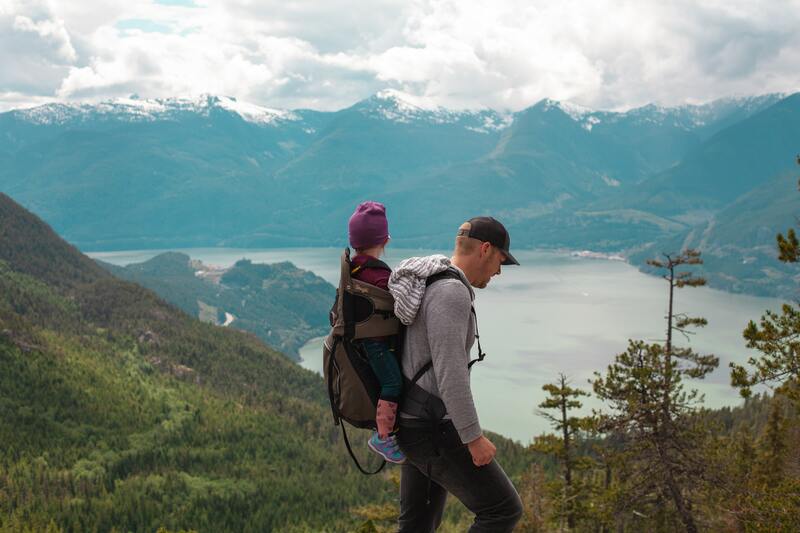 Depending on the age of your child and the terrain, you may need to bring along a carrier or stroller just when they get too tired to go on. Tip #9: Take plenty of water and maybe even some electrolytes. Depending on the duration and intensity of the hike, you may need some electrolytes. Sports drinks are great for any vigorous exercise that lasts more than an hour or takes place in really hot or humid conditions. Some examples of these include Gatorade, Pedialyte, and other less known brands like NOOMA organic that you can purchase off of Amazon. You may also make your own electrolyte drink if you want. There are a ton of recipes to choose from, but all you really need is carbohydrates, calcium, sodium, potassium, magnesium, and chloride. For a homemade concoction of electrolytes you can add ½ cup of fresh squeezed juice to 2 cups of plain water with 2 tablespoons of honey and 1/8 teaspoon of Himalayan pink salt. Weather can change in an instant, especially in the mountains. No matter what time of year it is, assess where you are going, how long the hike is, how high you will be going up. These things will tell you what type of clothing you need to bring on your hike. I did a fourteener in June and I had my ski gloves and hat on. We came across such bad weather including hail, lightning storms, and snow. Ideally, you will not want to face that with young ones, however if you do come across some extreme weather you will be prepared. Above all, have fun. I know you and your kids will love nature and these will be memories they will treasure forever. Aimee Kennedy, MS, RD has been a registered dietitian for 16 years. She has a certification in Adult Weight Management and is currently studying to obtain a Strength and Conditioning Specialist certification. She also recently launched her own business called Health Fix and is authoring a children’s book and nutrition book. She loves the outdoors, fitness, art, nutrition and her two children that are her heart and soul. She’s one busy lady! You can follow her via Instagram @domestic_dietitian. Thank you, Aimee! Great tips! Knowing that the going will be slow keeps you connected to the present and enjoying the moment. One of my “mothering mentors” always reminded me that “you never know when you’re making a memory”! Thank u Kay! You are absolutely right! Time flies by! The years and the moments are precious. Thanks for your comment!